So long as people give moral justification to organized aggression, namely the concept of government, there will be governments. So long as there are governments they will grow and grow until they completely cripple the economy they are leeching on or until they become unable to meet obligations entered into, triggering a reset. In the long run, government power always tends towards centralization, with more and more power consolidated with fewer and fewer people, with less and less representation of the governed in the process. It is true that, prompted by public ire from past failures, bureaucrats have throughout history devised methods to try and limit and balance state power through things like constitutions, bills of rights, balance of powers, parliaments, etc. What these measures have accomplished has been to slow down the growth, centralization, and overreach of the affected governments, but they have happened nonetheless, and with catastrophic results in many respects one could argue (1.4 million dead Iraqis might agree with me, just to bring up ONE example). These are the theories that I have been working with for years now, and there is plenty of historical evidence over the past millennia to corroborate them. The most prominent current example is of course the federal government in the United States, which has grown from a tiny government (about 7% of US GDP back then with lots of sovereignty for individual states) to the largest, most powerful, and most imperialistic government in the history of mankind, with more and more power being centralized in Washington, with Democrats and Republicans complicit in skillfully supplying their respective reasoning in their respective areas of public policy in order to consolidate power in the fields of social and military policies, respectively. Another contemporary example is of course the European Union. Brussels represents what Washington has been in US history. Each individual crisis has been supplying and will continue to supply Brussels bit by bit with ammunition to expand its powers over member states in their endeavor of building a European Empire. 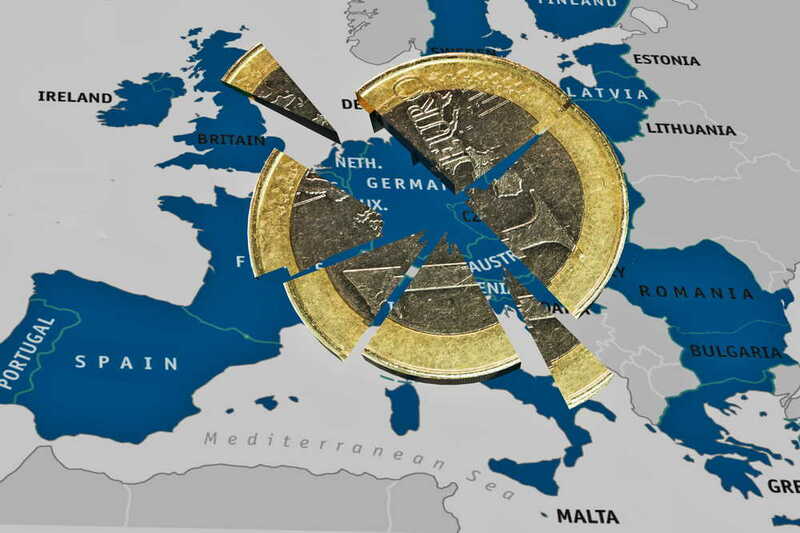 Is the Euro Worth Saving? Regardless of what you or I may think, that question is where European voters come in. From that standpoint it does not look pretty. German Chancellor Merkel, Spanish Prime Minister Zapatero, Italian Prime Minister Berlusconi, and Greek President George Papandreou will all be gone after the next set of elections. French President Nicholas Sarkozy may bite the dust as well, and if he does it may be to a vehemently anti-Euro candidate. All it takes is one government to say “to hell with this” and the whole mess unravels. The current set of politicians all want to “save the Euro”. But what did the Euro buy Greece, Ireland, Spain, or Portugal except misery? Even German and Finland voters wonder what it bought them. Merkel’s half-baked proposal raises more questions than answers. The market (and voters) will not possibly wait for details of her proposal to get hashed out. If this is the best Merkel can come up with, a Eurozone breakup is inevitable. I think that a complete political breakdown of the European Union would be the best thing that could happen to Europeans. Ditch all European political institutions, but maintain the free mobility of persons, capital, and goods across countries, really the only positive aspect of the Eurozone project. Oh, and you want one unified currency that actually works? I know I’ve been saying this over and over again, but … how about a gold standard? Anyone? Author NimaPosted on September 10, 2011 Categories General EconomicsTags euro breakup, europe, european union, eurozoneLeave a comment on Eurozone Breakup Inevitable?